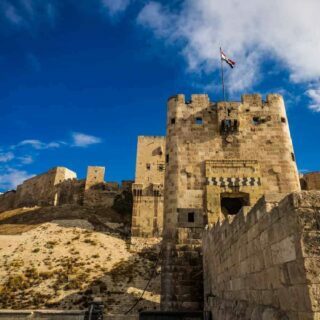 There are a few train rides in the world with a romantic cling to their name, the Oriental Express from Paris to Istanbul, the Maharajas luxury train in India known as the palace on wheels, and in Switzerland you got the Glacier Express. 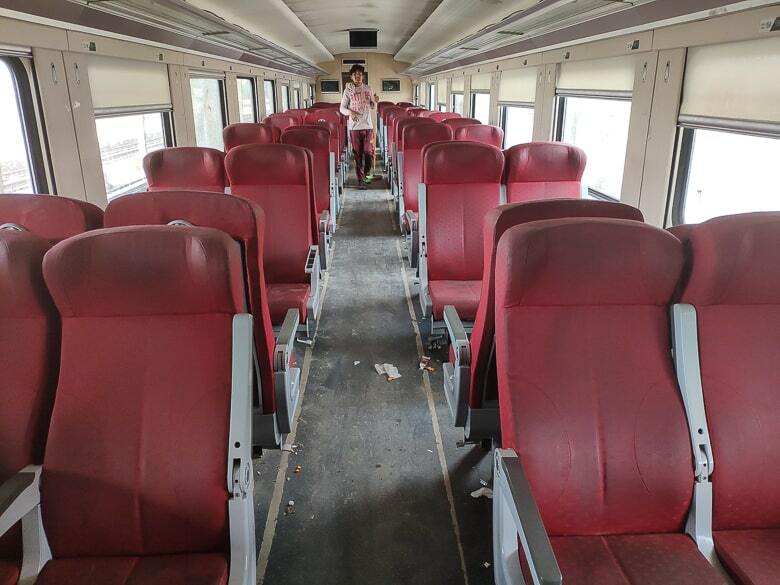 But a train ride that’s definitely doesn’t have the romantic cling to its name, is the local train between Baghdad and Basra in Iraq. But how many people can say they done the latest one? I can. Just arrived in the early morning at Baghdad train station. 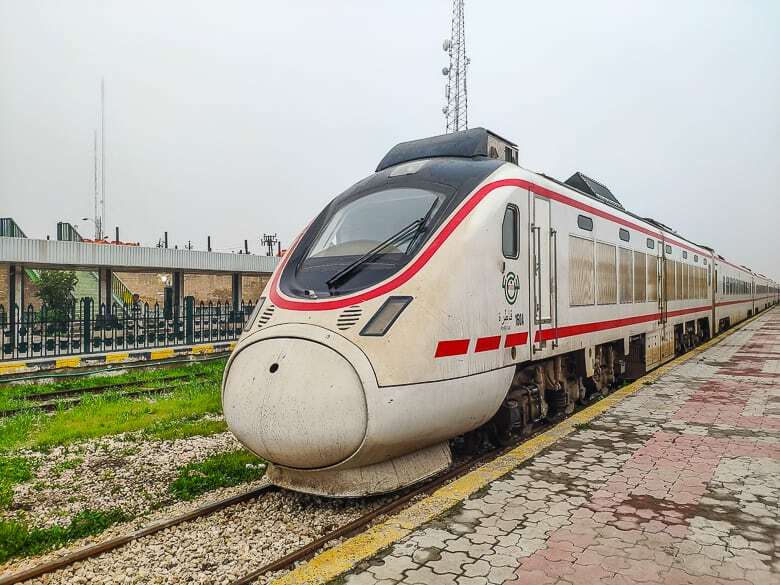 The history of Railway in Iraq goes back to 1914 when the first section of railway in what was then the Ottoman Empire built a 123km/76miles long tracks between Baghdad and the holy city of Samarra to the north. Before the 2003 invasion of Iraq was train travelling around Iraq a favourite way of transport among locals in Iraq, with 3,300km/2,000miles of railway track stretching across the country from all major cities from north to Basra in the south even to the neighbouring countries Turkey and to Aleppo in Syria via Mosul in northern Iraq. 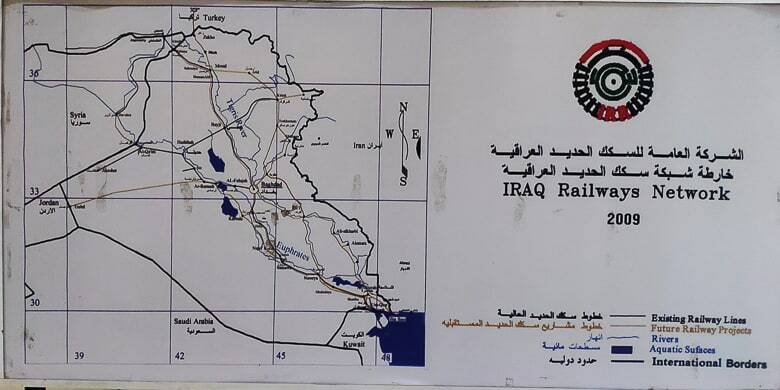 A map over the railway in Iraq at Baghdad Station. 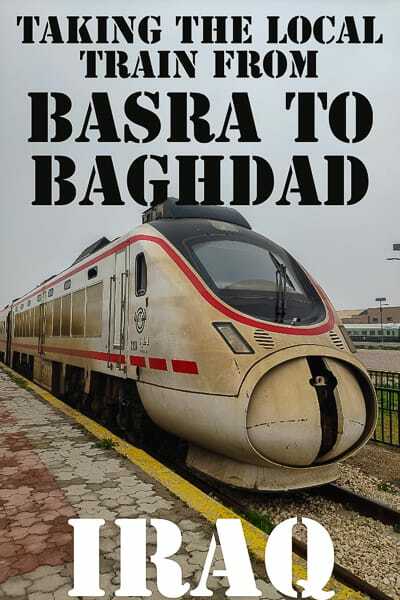 Now in 2019 is there only two working railway lines in the whole of Iraq the 650km/400miles 12-10 hours overnight train on the line between Baghdad and Basra the two biggest cities in the country. 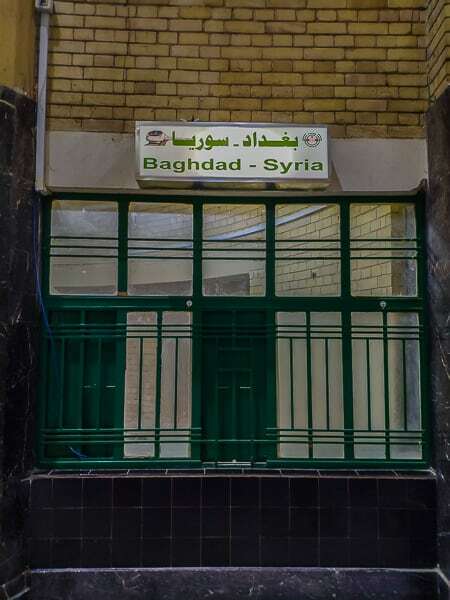 And the one hour journey from Baghdad to Fallujah a small town 69 km/43 miles to the west, once infamous as a Sunni insurgent stronghold and one places where the bloodiest battles were fought in Iraq after 2003 invasion of Iraq. 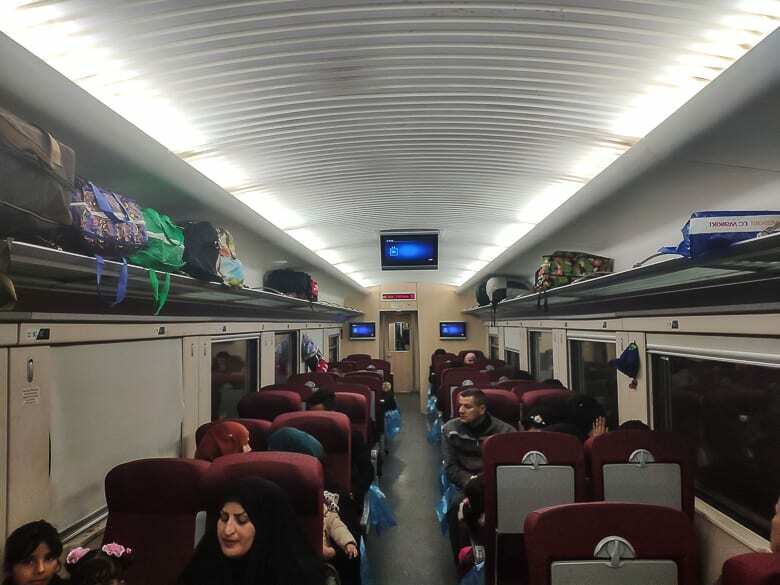 The Baghdad, Basra railway line was re-opened in 2014 with planes to be a high-speed line, allowing a top speed of 250 km/155 mph with brand new Chinese-built diesel trains with seats for 384 passengers, specially designed for use in Iraq’s hot desert climate, and even on-board diagnostic systems are meant to work in a dusty environment. But the speed rarely get´s above 140km/87mph, and most of the ride is on a steady 70km/43mph, so much for high-speed. 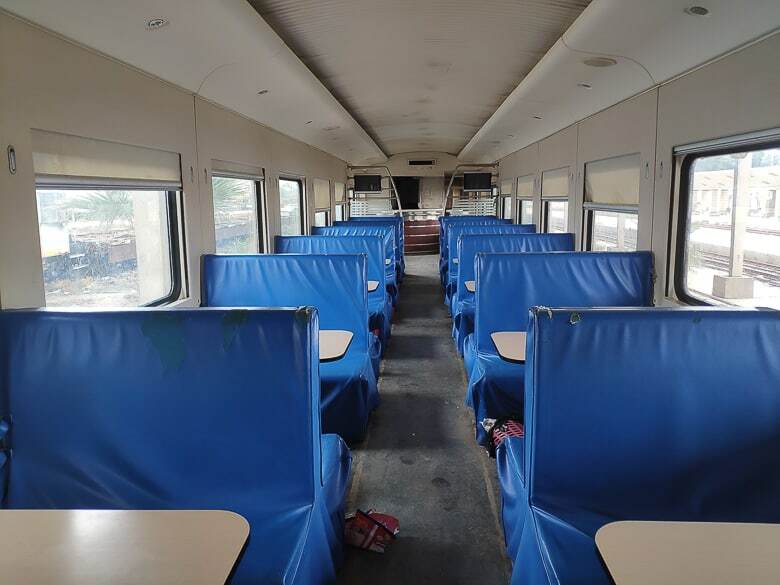 My train back to Baghdad from left Basra dead-on time, at 21.00. Impressive, I’m not used to that even back at home in Norway where the trains are always delayed these days. 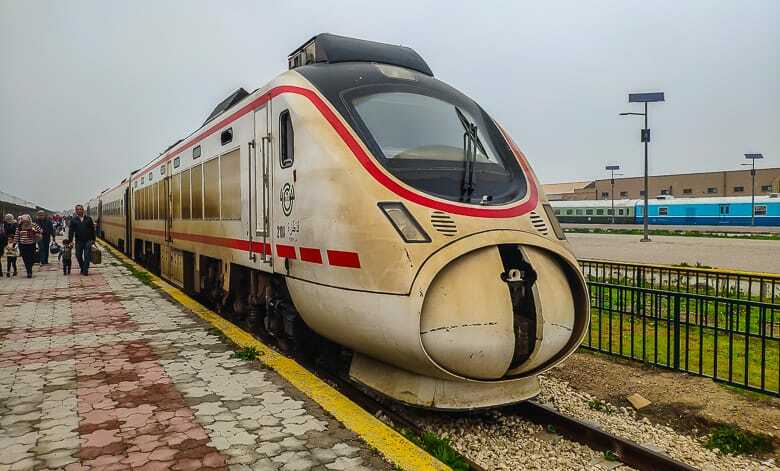 So Iraqi Republic Railways Company (IRR), I’m a lot more impressed with you than Norwegian State Railways (NSB). My train in the early hours at Basra railway station. Cleaning the train before next departure. 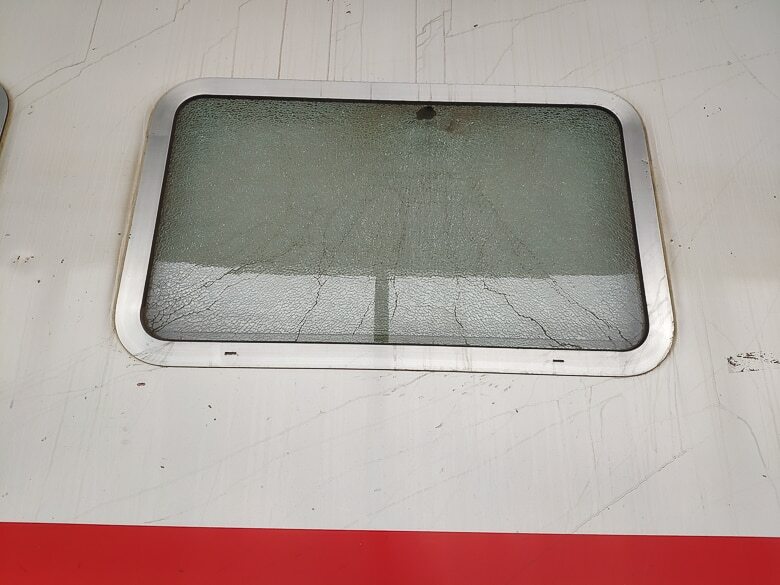 Most of all the windows on the train are cracked. The quality of the train ride went far beyond my expectation, with almost fully reclining seats and with even a few having working power sockets. 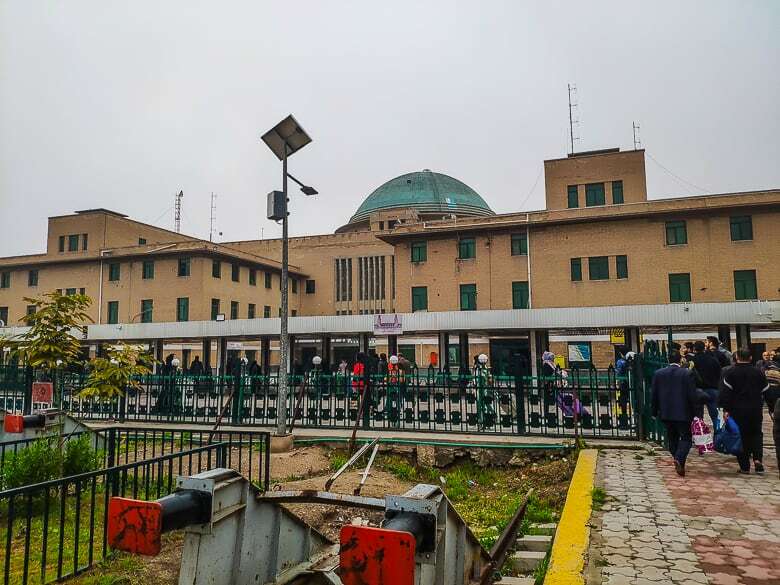 After a few hours of sleep did the train arrive at Baghdad Railway station, the largest in the whole of Iraq, built by the British between 1948 – 1953, it´s one of the best-preserved pieces of colonial architecture anywhere in Iraq. The train got full in the end. Jus arrived at Baghdad railway station. Another train parked at Baghdad Railway Station. 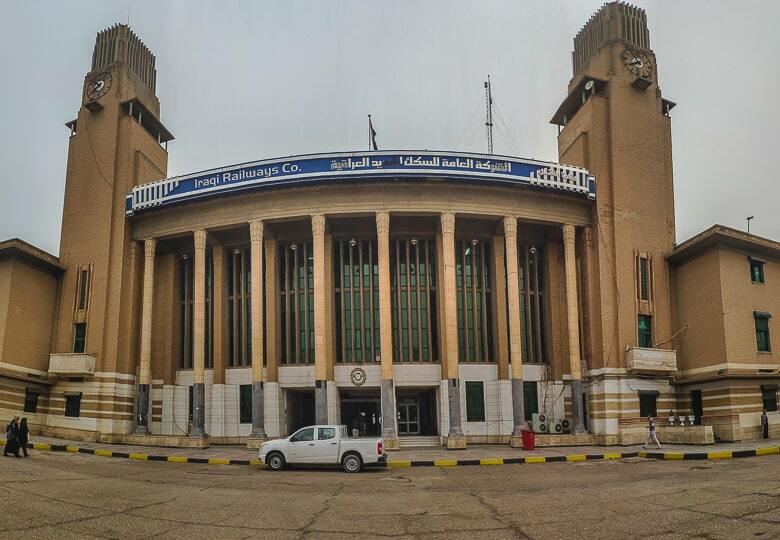 Arrived at Baghdad railway station. 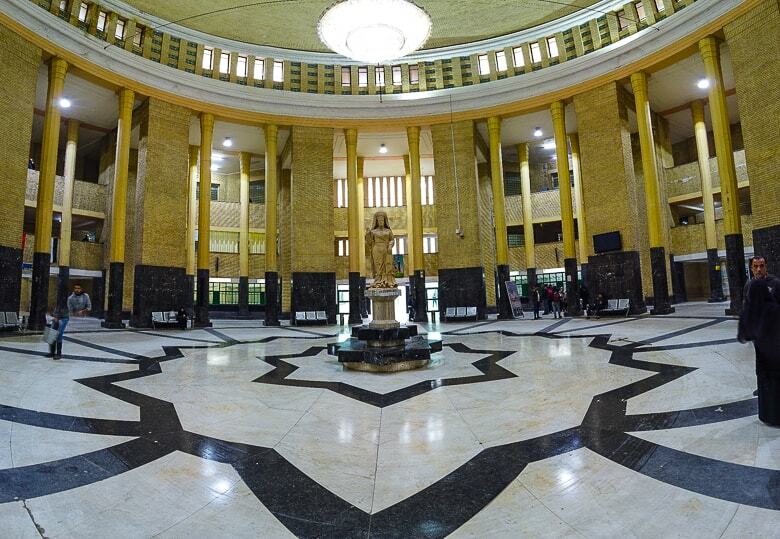 The main hall at Baghdad railway station. Don´t think this ticket office will open anytime soon. There´s no online booking currently working to buy the train tickets, instead, you will have to show up at the train station to secure your tickets. 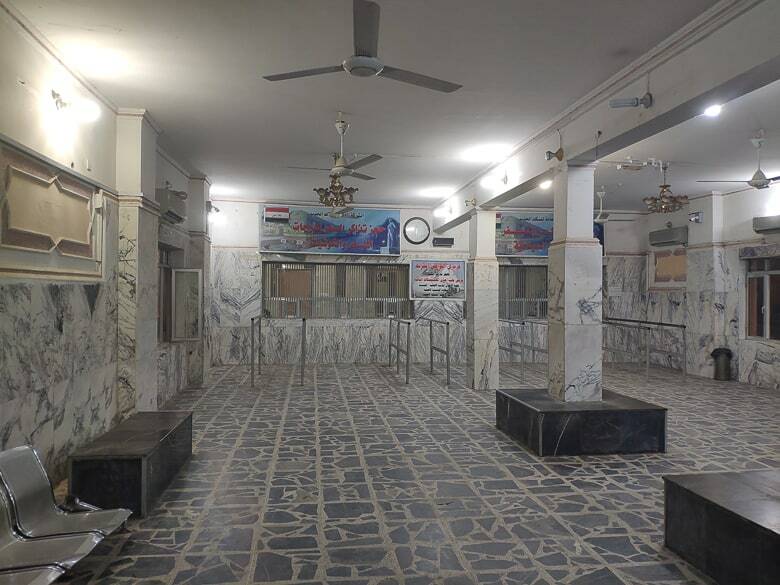 There are two types of ticket Seats costs 10.000 Iraqi Dinars, around 10 Usd. And Sleep class ticket for 40 000 Iraqi Dinars, 40USD. 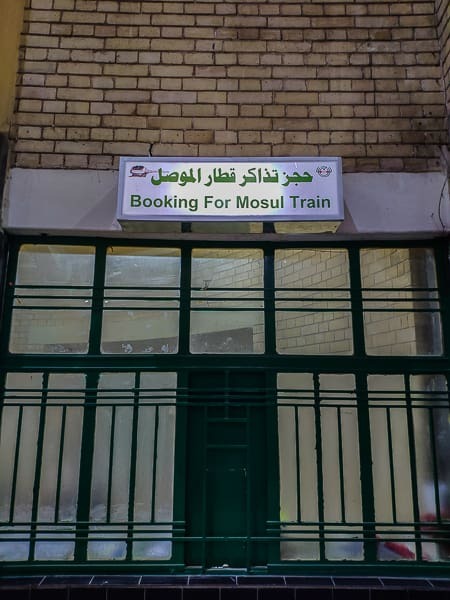 Travel Guide to the Iraqi Railway. 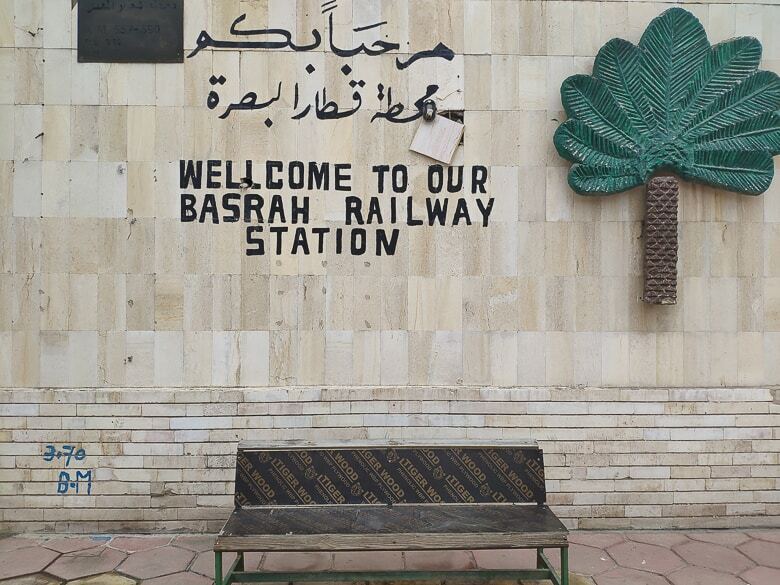 Take a local train from Basra in Southern Iraq to the capital of Iraq. Baghdad.